Hi everyone!! So the summer is finally coming!!!!!!! 😀 Yesss!!! And through all my swatching of these beauties there was sun shining. 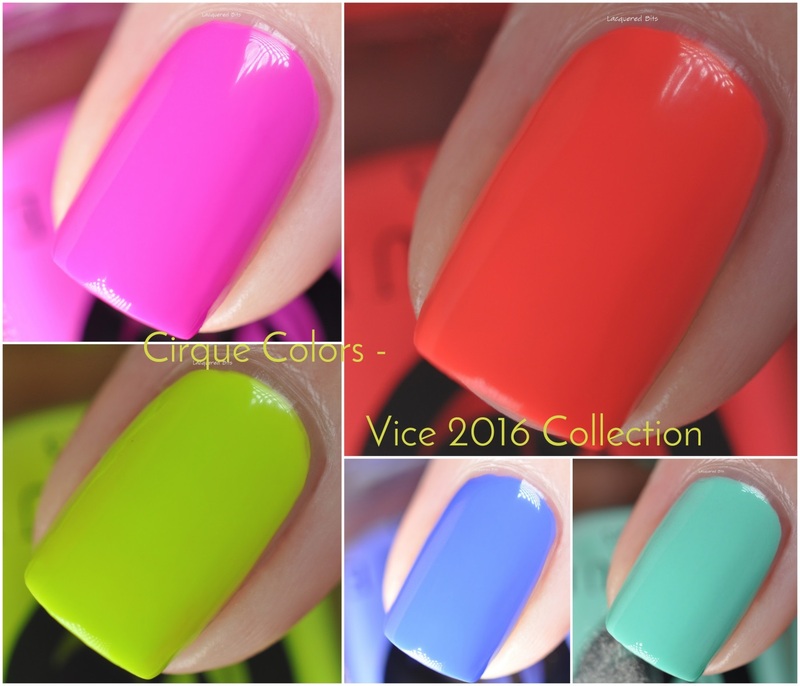 It’s like it knew I needed its light for these bright and shiny polishes ♥ from Cirque Colors Vice 2016 Collection*. 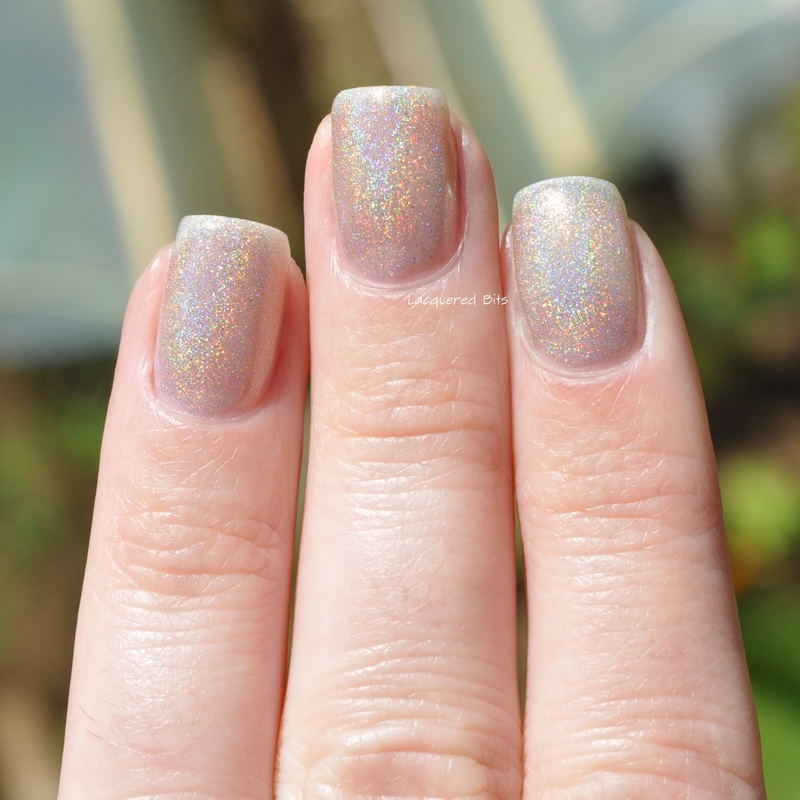 Because I wanted to show you how the holographic topper can change the creme in to the holo polish. Oh, and another thing. There’s only one week left and then we’re off to our first part of the summer vacation. We’ll be gone for a week and then again in August for two weeks. We’re going to Croatian coast, both times. Can’t wait any longer!!!!! 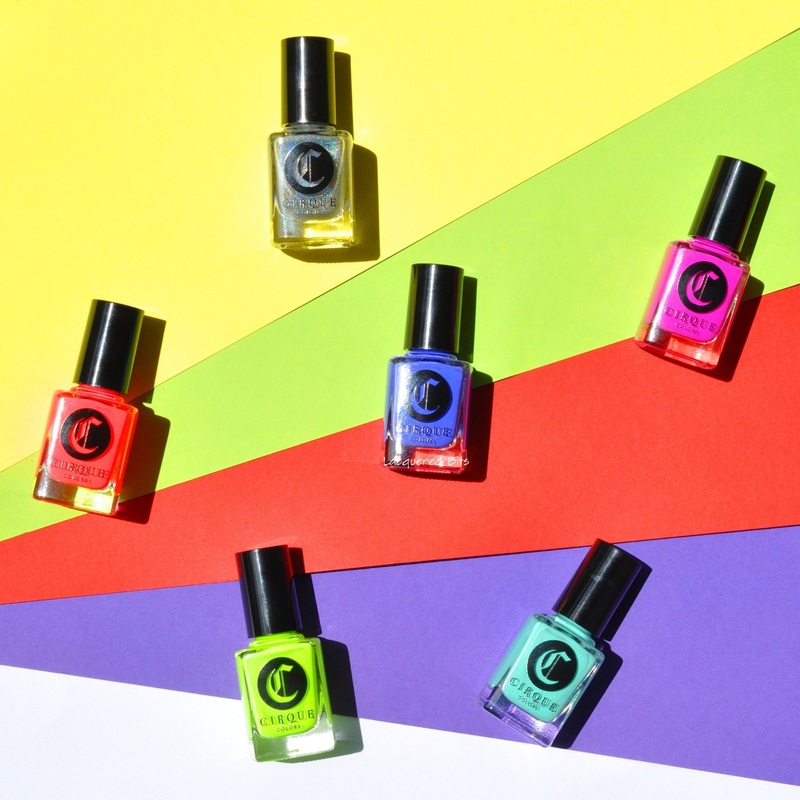 But now let’s focus on these amazing neons. WAW!!!! 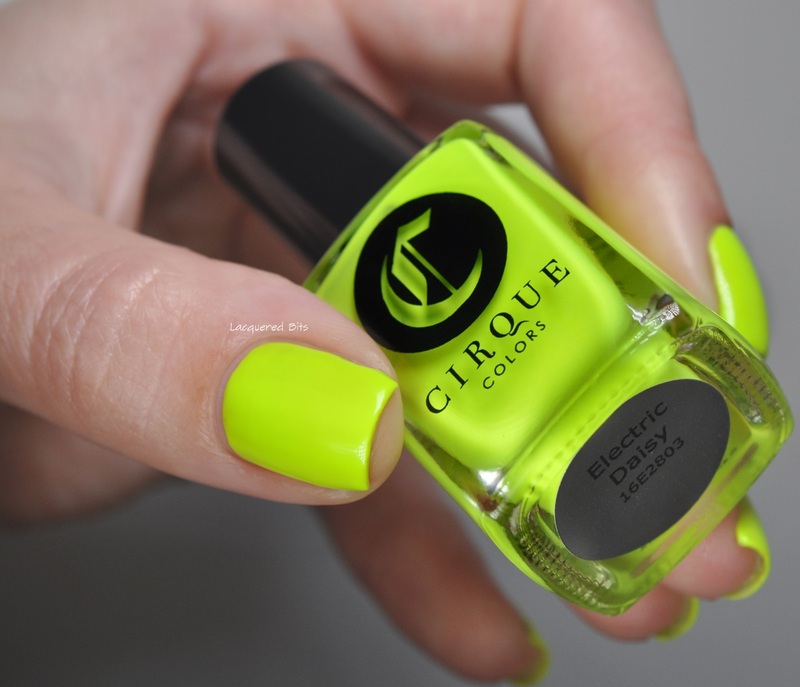 This one is not neon all the way but it is neon in the natural light. And it’s a bit darker and greener in person too. 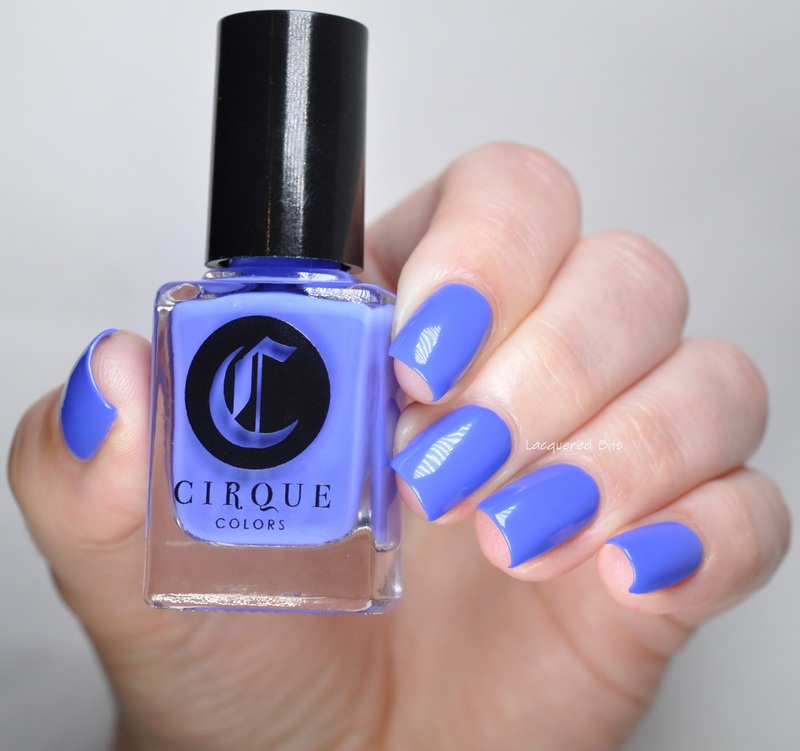 But it’s a gorgeous turquoise ♥. The formula was ok. I did a normal first coat and a lumpy second to cover everything up. WAW!! This IS a NEON!! It’s like one of those neon magic markers. Literally!! 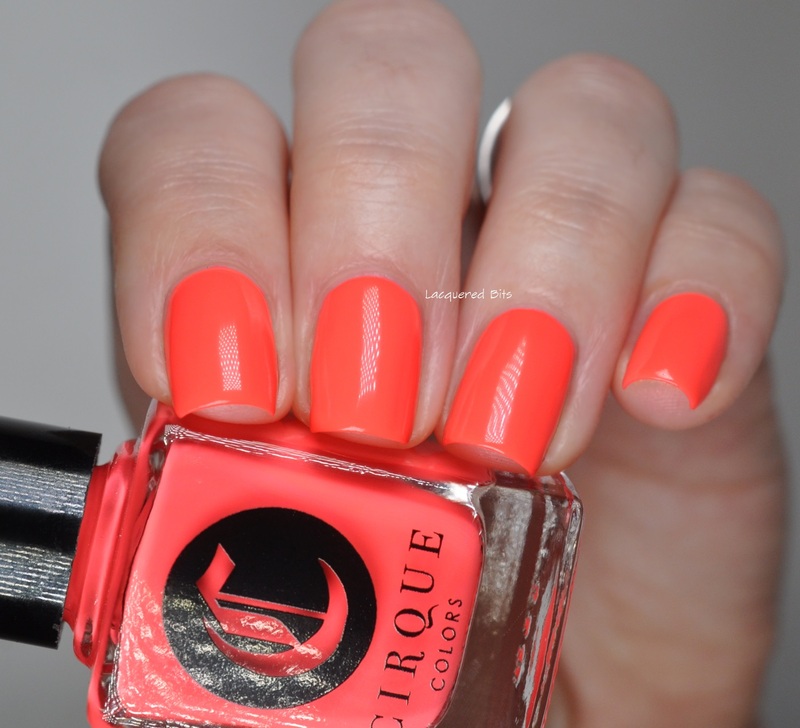 I bet this would look perfect at some summer beach party! 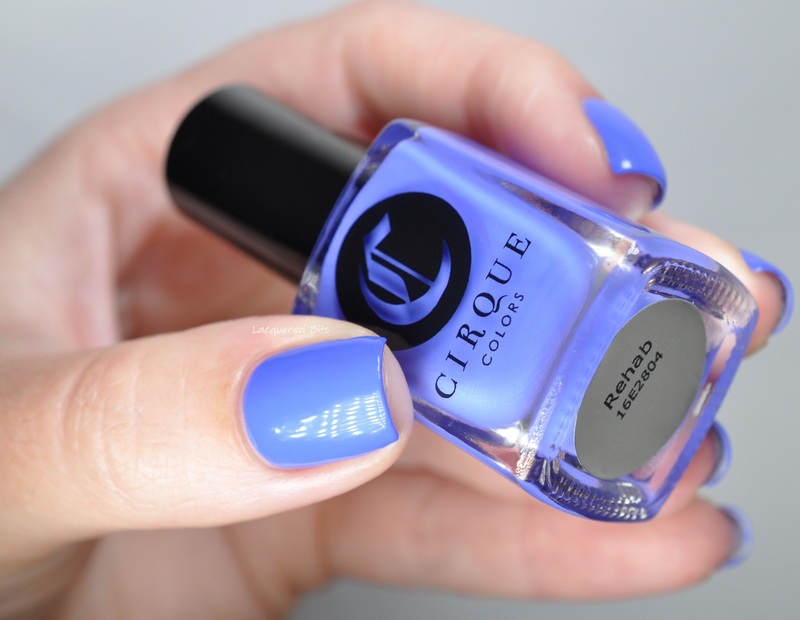 The formula was similar to the formula of the first polish, so I did a first normal coat and a second lumpy for a perfect coverage. *_* Another neon magic marker. So vivid! It’s a mix of pink and coral colour. It is almost a one coater. 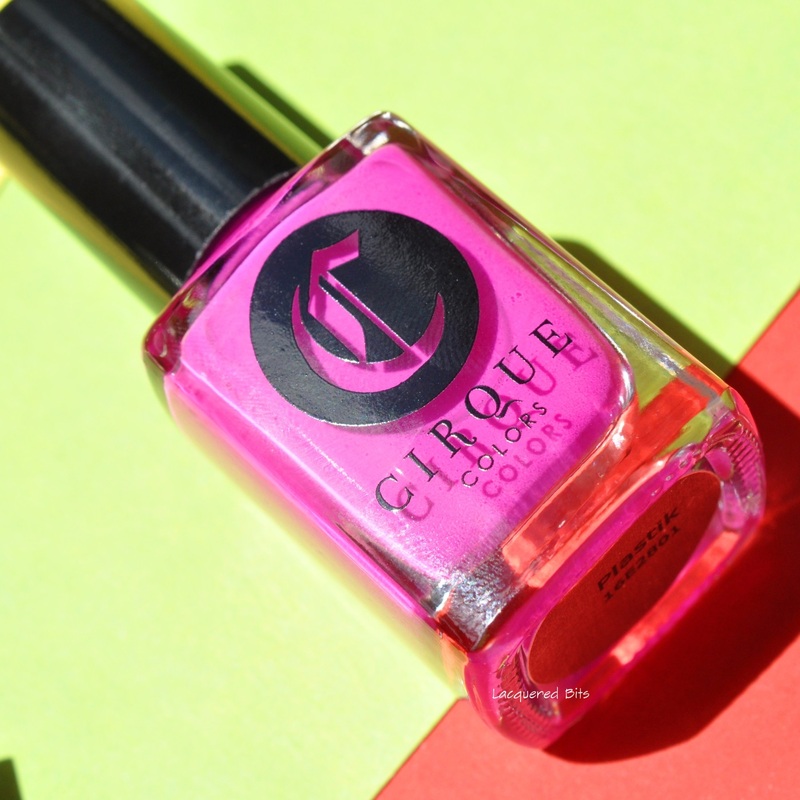 The application was easy and I applied two coats to make it totally opaque. Oh my!! This is probably my favourite of the collection. 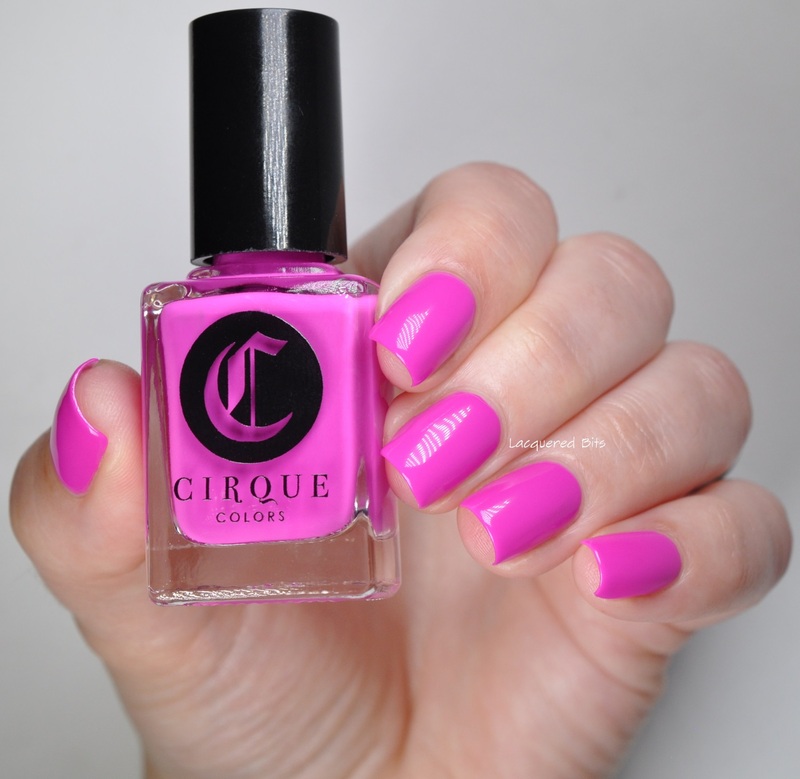 It’s an amazing colour and is perfect for my skin tone. I can’t stop starring at it *_*. It’s a one coater and it has a perfect formula that levels itself out beautifully. 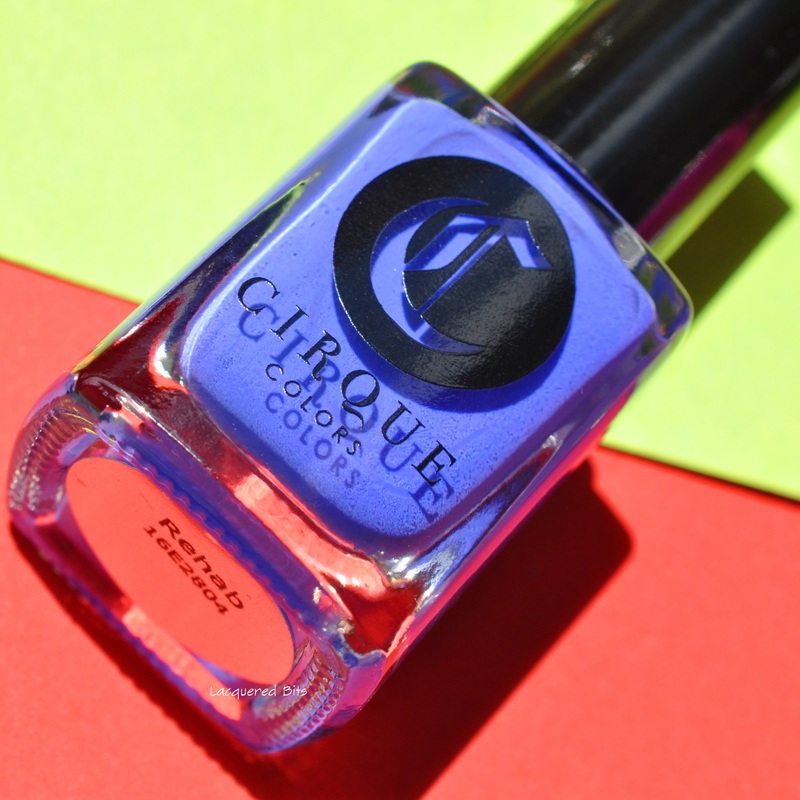 It’s a blurple polish that photographs blue. 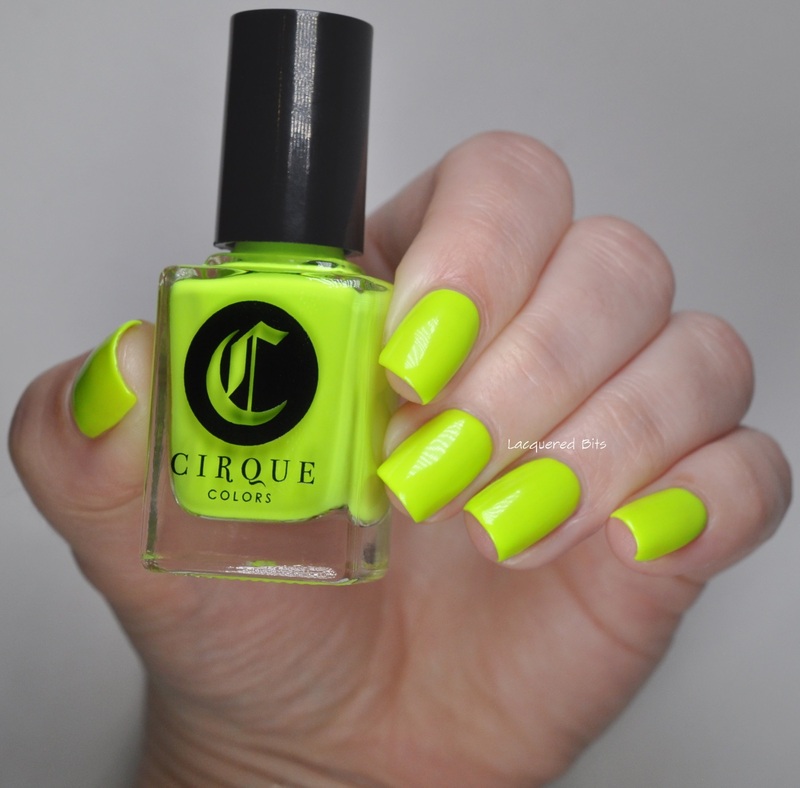 It looks least neon in the bottle and on the photos but it comes to life on the nails. 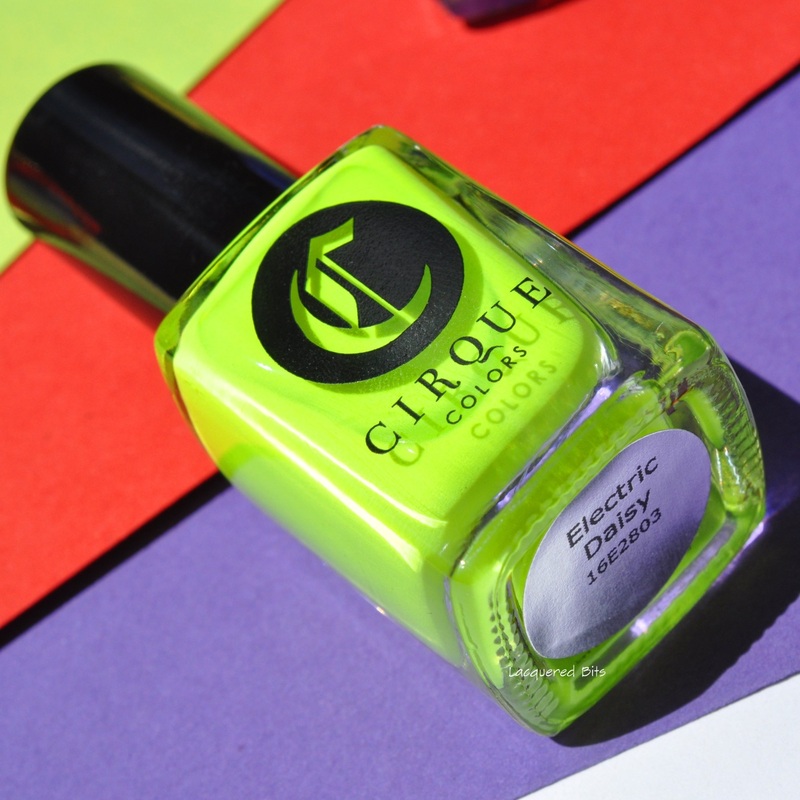 It’s not an usual neon polish, but it’s bright alright! Again, almost a one coater. The application was easy and I did two coats for full opacity. 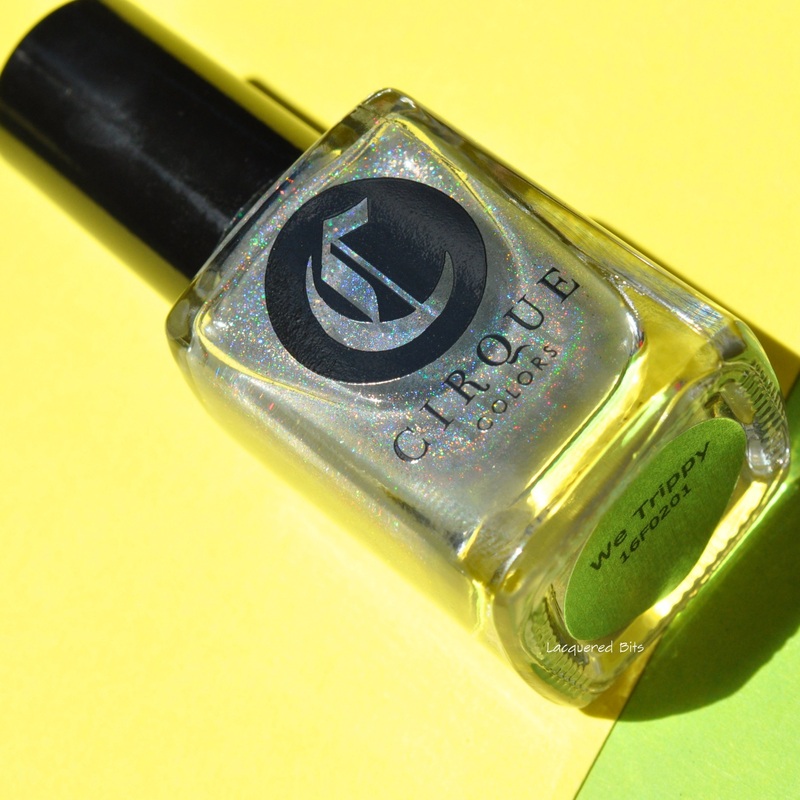 This is a linear holographic top coat that was first released last year, but Cirque Colors decided to bring it back again. 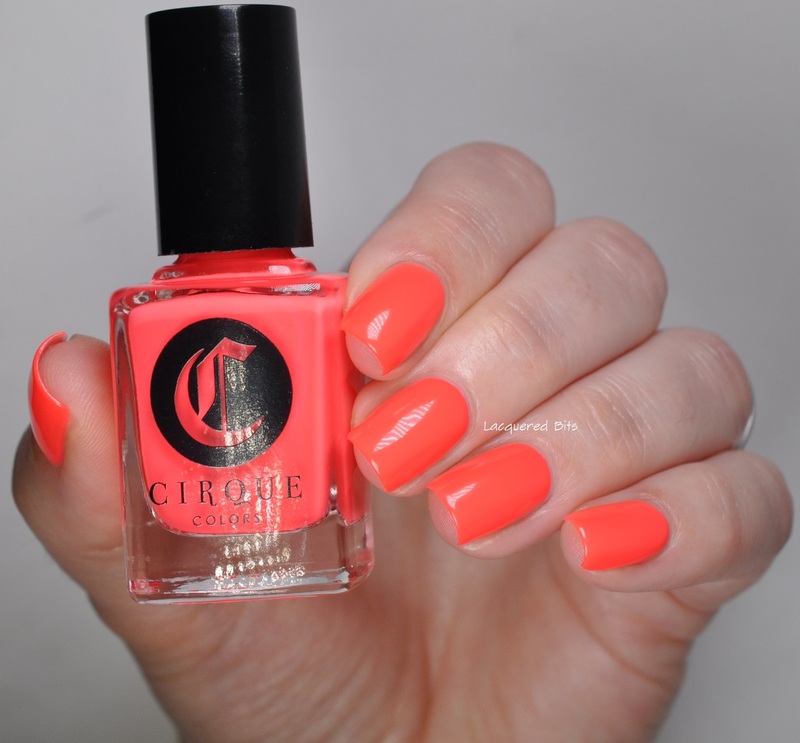 And I am glad they did, because you know, you can have 10 polishes in the collection with this topper on top of cremes. 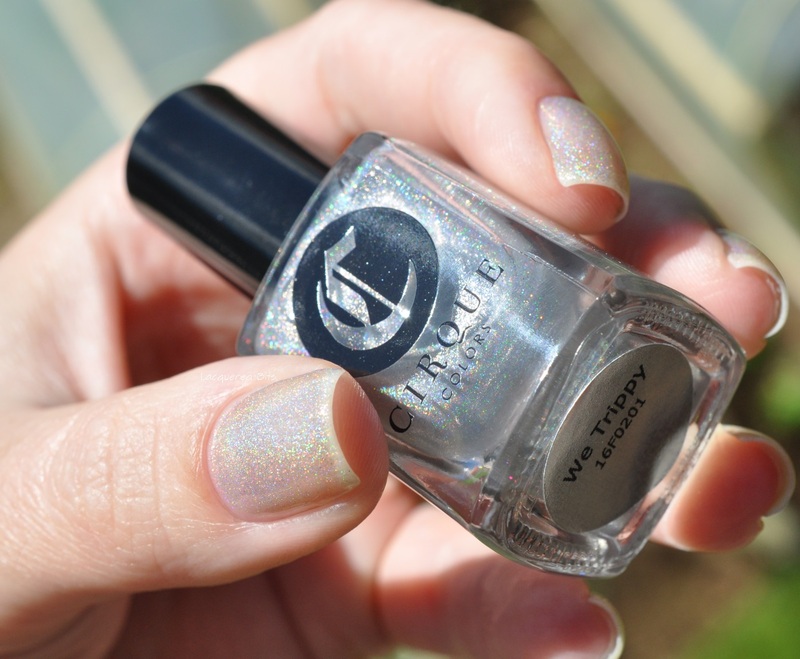 I applied three coats here just to show you the holo effect. And since its purpuse is to make the cremes holographic, here they are, all topped with it. Sooo, what do you think guys? I am in love, truly! 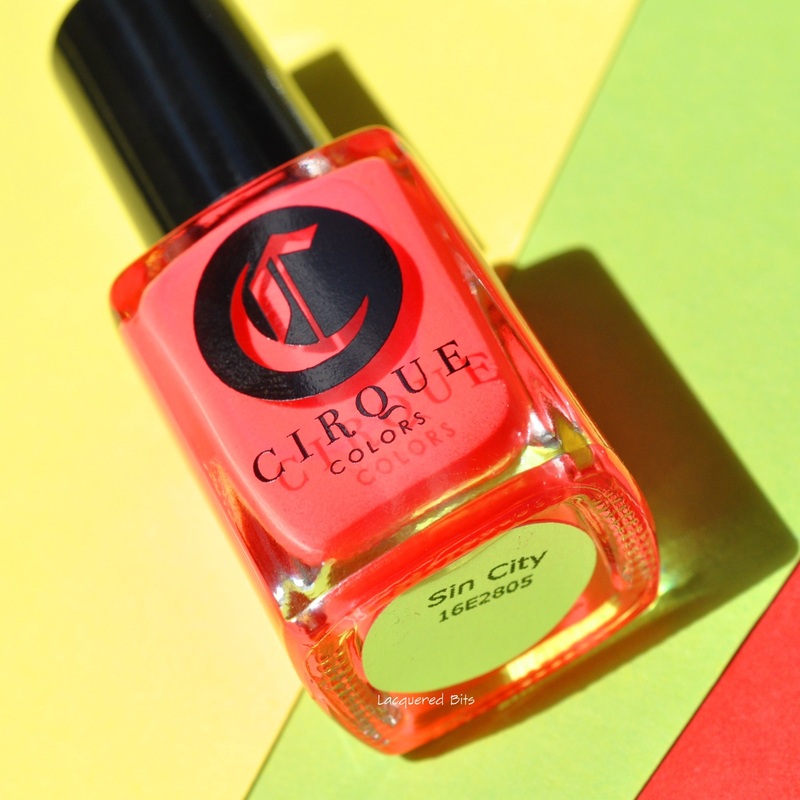 I love all of them, they are perfect for the summer that is coming our way. 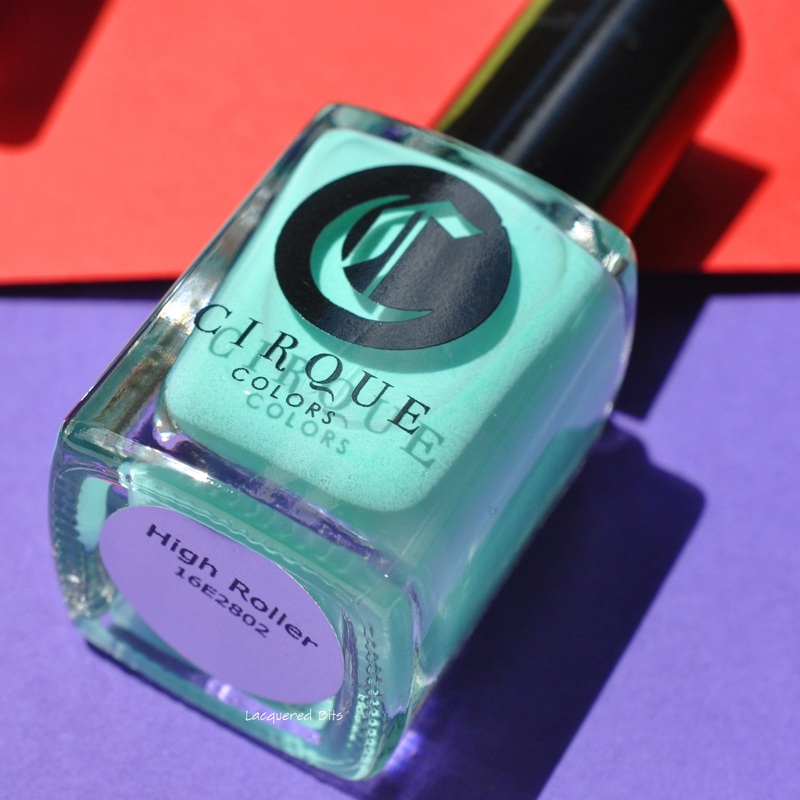 You can find the polishes on their web page cirquecolors.com (the launching date is 24th of June) or at one of their international stockists. I hope you enjoyed the review, I sure did enjoy swatching them. Have a lovely evening and see you in the next post. Thank you for reading!